Bangkok Laser Clinic has the widest selection of Cosmetic Lasers in Thailand, aimed at improving your appearance and to boost your confidence. Many of these lasers come from the USA and meet the high FDA standards. Along with highly skilled technicians, the management of your treatments can only produce positive results. A large number of celebrities from Thailand and Asia come to Bangkok Laser Clinic for their treatment. The treatments are simple and easy to apply and can improve your appearance from the first application, making you even more beautiful and improving your self-assurance, thus enabling you to benefit from your new found confidence. Ultherapy is a new type of non-surgical, non-invasive procedure for the face, neck and chest that uses ultrasound and the body�s own natural healing process to lift, tone, and tighten loose skin. Botox or Dysport is a safe and effective way of temporarily weakening the muscles that cause wrinkling of the skin. It has the effects of taking years of age and strain from your face.This treatment is simple,quick and safe. You can resume your normal activities immediately after an injection. Many people have their treatments in their lunch-time, for example, and return to work straight afterwards. Hyaluronic Acid is used to plump up the skin. 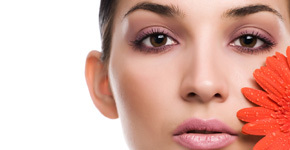 Areas such as cheeks, forehead, nose to mouth lines, under eye improvement, and for nose and chin reshaping. This revolutionary advance in vein removal provides immediate results with no lifestyle interruption. It treats both red and blue, facial and leg veins. No needles. No incisions. No downtime. Watch unsightly leg veins vanish today! Titan is the first tailored infrared light source for sustained deep dermal heating with the most frequent use on the face, submental area, and neck . Titan is the non-surgical light-based system approved by the FDA for the safe treatment of lax skin of the face and neck. The eMatrix treatment goes beyond fractional methods for skin resurfacing. 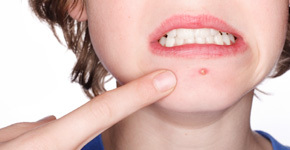 It is treatment that utilizes RF sublation fractionated bipolar radio frequency technology to place the heat energy effectively into the dermis where it can produce significant dermal impact with minimal epidermal disruption. Clear+Brilliant is a treatment that is specifically designed for patients looking to take control of their ageing process earlier but also very beneficial for men and women of all ages and all skin types who are looking to prevent signs of ageing, help correct early signs of ageing or maintain the look, texture and tone of their skin. Sculptra® is injected into the skin for restoration and/or correction of the signs of facial fat loss (lipoatrophy) in people with human immunodeficiency virus. Sculptra® has been clinically proven to be an effective, well-tolerated, and long-lasting treatment for the signs of facial lipoatrophy. ThermiVa is a thermistor-regulated RF energy emission device, used for non-surgical dermatological applications in aesthetics and other medical specialties. ThermiVa treatments use radiofrequency energy to gently heat tissue to reclaim, restore, and revive feminine wellness, without discomfort or downtime. We�ve got good news for you. elōs acne treatment is the first and only technology that uses both radio frequency and light energies to effectively and gently resolve active acne by treating it at its source. But you don�t have to take our word for it. Aluma skin renewal treatments turn back the clock and gently reverse the aging process. This revolutionary technique delivers energy safely and comfortably to the underlying layers of the skin, gently stimulating the production of new collagen, while protecting the outer layer of the skin. The new collagen that is formed plumps and smooths the skin, making it appear more youthful. ePrime is a revolutionary new facial treatment technology from Syneron and Candela. It is designed to dramatically improve the quality and tone of aging skin without surgery. Fine Scan1550 is a fractional erbium laser technology to decisively stimulate the body�s own restorative processes and thus new collagen in the deeper skin is formed with minimal skin injury. Fine Scan gives a smoother and even more radiant look to your skin. A PhotoFacial treatment is a series of full face, gentle pulsed light treatments intended to improve the appearance of sun damaged and age spots, on areas such as face, neck and chest . The neck is one of the first places that is affected by the signs of aging. Having a thread lift or a neck lift can completely rejuvenate your entire appearance. Whether its age or because you've lost a considerable amount of weight or just genetics, a neck lift could be the answer that you've been looking for to tone up your appearance. We�ve revolutionized the Gold Standard LightSheer with vacuum-assist technology and by dramatically increasing the spot size to 22 x 35 mm. The LightSheer enables us to treat backs and legs comfortably in only 15 minutes. LipoLift is a procedure which involves micro-injections of a formulation consisting of two naturally occurring chemicals, phosphatidylcholine and deoxycholate, into the fatty areas. It basically involves a series of miniscule injections of chemicals which dissolve localized areas of fat deposits. These chemicals act like detergents and have the ability to dissolve fat. Both these substance are normally secreted and stored in the gall bladder and help in the digestion of fat. Polaris is a combine RF and Diode Laser for rapid reduction of fine lines and wrinkles with no downtime. Portrait is a brand new technology clinically proven to stimulate a natural regenerative process of the skin. It is the first to use plasma energy and represents a dramatic leap forward in the science of beauty. Plasma makes it possible to address the unmet demand for significant improvement to the skin with predictable and manageable recovery time and little to no risk of complications associated with other more aggressive anti-aging treatments. Q Switch combined with IPL: Pigmented Lesions. Reducing pigmented lesions, tattoos, birthmarks and age spots. With ReFirme Skin Tightening, you will see and feel the difference as your loose facial skin becomes more firm and taut. It�s quick, virtually pain free, and has no downtime! Emax WRAuses a unique combination of radio frequency and Diode Laser to stimulate collagen formation.